Join SoCK in our shawl KAL. Choose a pattern, your colorway, bring your yarn and needles and let’s begin. The pattern choices are: Antarktis by Janina Kallio, available for purchase on Ravelry OR Diffusion by Tetiana Otruta, a free pattern available from Knitpicks. 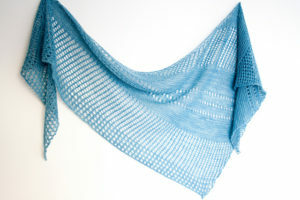 Both are asymmetric triangular shawls. Antarktis alternates garter stitch and lace sections. You could use one colorway or alternate the sections in different colors, or blend two colors. Diffusion is worked sideways in garter stitch with simple lace. 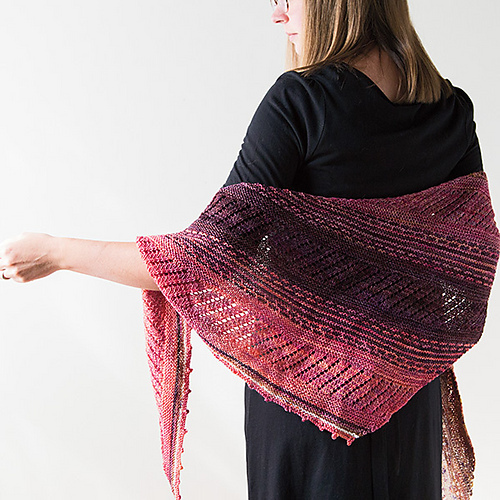 This shawl could use as many as five colors, two colors, on just one. It’s your choice! This is an excellent opportunity to dig into your stash and be creative. A yarn swift and ball winder will be available if you need help getting started. Looking forward to seeing everyone’s choices.